A workshop in June for teachers. CARLA does great immersion workshops. Promoting high levels of character literacy among immersion learners is arguably one of the Chinese immersion teacher’s greatest challenges. 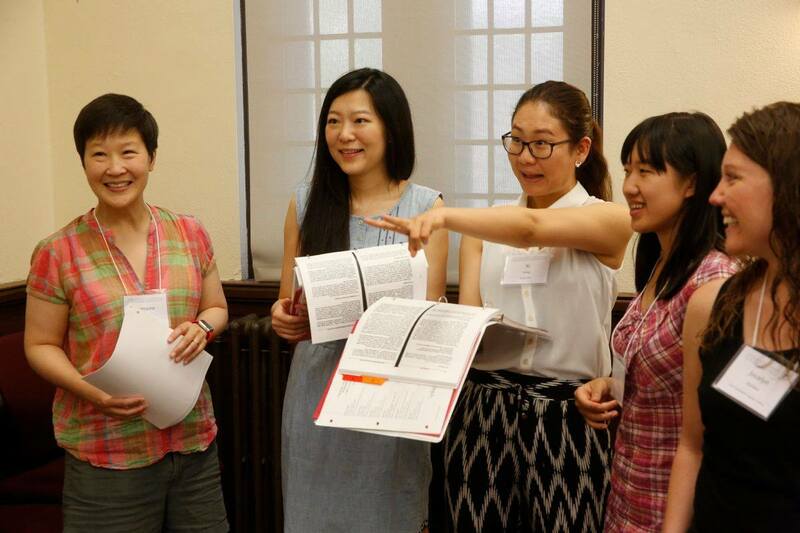 During this three-day institute, participants will examine key findings from CARLA’s research study comparing Mandarin Immersion (MI) students’ use of strategic reading processes in Chinese (L2) and English (L1). Together we will explore similarities and differences in the oral reading behaviors of more- and less-proficient MI readers, analyze the nature of common substitution errors, and compare decoding and comprehension processes between languages and learner groups. Bridging research to practice, we will work collaboratively to identify and learn about instructional practices that move MI learners towards more fluent character processing and improved text comprehension. Tara Fortune is the Immersion Program director at CARLA and will serve as the lead instructor and institute facilitator. She devotes most of her professional time to the preparation and continuing education of immersion educators throughout the United States and abroad. She oversees research initiatives in immersion that have recently included a focus on strategic character literacy development. Zhongkui Ju is a Ph.D. candidate in the Second Language Education Program at the University of Minnesota. He has served as a research assistant for the Immersion Projects at CARLA for the past four years. His dissertation research focuses on Pinyin and character literacy in early total Mandarin immersion contexts. Molly Wieland is the program coordinator for the XinXing Chinese Immersion Program in Hopkins Public Schools (Hopkins, MN). She has been involved in the development of the district’s first Mandarin Chinese immersion program since it began in 2007. Molly oversees curriculum and staff development for K-11 Mandarin immersion teachers. As a parent of a student in the program, she offers both the perspective of program specialist and parent. Guest presenters will include several veteran immersion teachers and specialists who will share their expertise at the institute. Target Audience: K–8 Mandarin immersion teachers, program coordinators, and administrators.